Net sales at MasterCraft Holdings Inc. more than doubled in the third quarter due to the acquisition of NauticStar and a net sales increase of 42 percent for that brand. The company saw a 60.4 percent gain in net sales for the quarter, to $93.8 million, compared to $58.5 million the year prior. NauticStar increased net sales $24.6 million. The remaining increase of 18.4 percent, or $10.7 million, was attributable to an increase in MasterCraft unit sales volume, favorable product mix and price increases. “We continue to deliver strong top- and bottom-line performance, driven by double-digit gains from MasterCraft, the addition of NauticStar and our commitment to operational excellence across both organizations,” said MasterCraft president and CEO Terry McNew in a statement. Gross profit increased $9.5 million, or 63.4 percent, to $24.4 million compared to $14.9 million for the prior-year period, with NauticStar contributing $4.9 million. 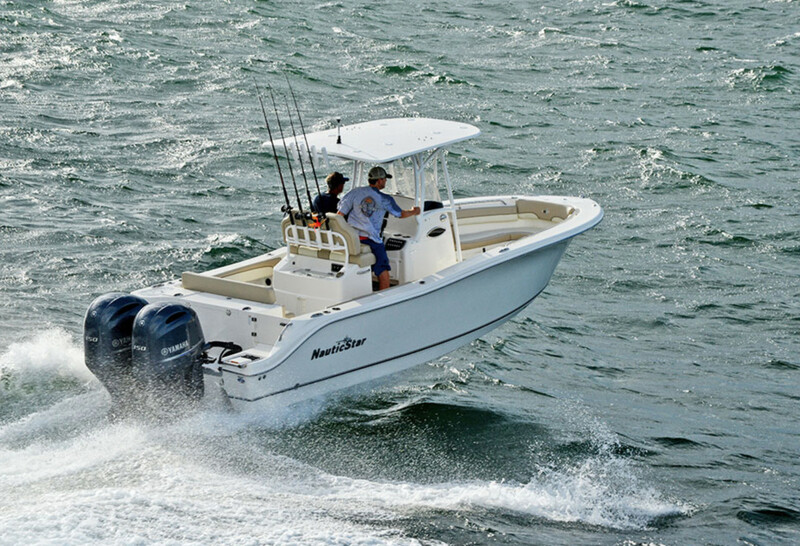 Sales of NauticStar Boats, such as this 25XS, increased 42 percent over last year. Growth in MasterCraft unit sales volume, a favorable product mix, price increases and reduced retail rebate activity, offset by higher material costs, accounted for the remaining increase. Gross margin increased to 26 percent for the fiscal third quarter, compared to 25.5 percent for the year-earlier third quarter. The increase primarily stemmed from reduced retail rebate activity, which was partially offset by the inclusion of NauticStar’s gross margin.